budget Archives - Africa M.E. CAPE TOWN (Reuters) – South Africa’s new leadership announced on Wednesday it was taking the politically risky step of raising value-added tax for the first time in 25 years, part of efforts to cut the deficit and stabilise debt under new President Cyril Ramaphosa. The government of Africa’s most industrialised country has to plug a revenue hole in its budget and repair its economy after nine years of mismanagement under the scandal-plagued Jacob Zuma. But with the VAT rate unchanged since 1993 the move was likely to prove unpopular ahead of a national election next year. 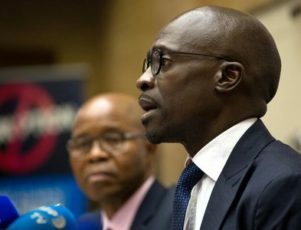 “This is a tough, but hopeful budget,” Finance Minister Malusi Gigaba said, acknowledging the reality in his budget speech to parliament on Wednesday. As Gigaba read his budget speech, the rand extended gains to 0.81 percent against the dollar, government bonds firmed and retail shares on the stock exchange fell. Whatever cabinet Ramaphosa finally settles on will face an uphill battle to revitalise growth and create jobs in a nation still polarized by race and inequality more than two decades after the end of white-minority rule in 1994. Much of the blame for the state of the economy has been laid at the door of Zuma and his allies. He was forced to step down as president this month by the ruling African National Congress (ANC), following a series of scandals. He has denied all wrongdoing. But treasury officials sought to project a relatively optimistic outlook as they assessed economic prospects for the immediate future. Gigaba said poor households would be cushioned against the VAT rate rise through a zero-rating of basic food items such as maize meal and beans, and welfare payments increases. And the Treasury saw GDP growth at 1.5 percent this year, up from an estimated 1 percent last year, helped by a recovery in agriculture and improved investor sentiment. South African debt faces the risk of a downgrade to “junk” by Moody’s after downgrades to sub-investment grade by S&P Global Ratings and Fitch last year. Moody’s said it would make a ratings decision soon after the budget announcement. “We believe we have done enough to avoid a downgrade. We have taken the tough decisions. You can see our debt rates stabilising, you see our budget deficit improving,” Gigaba told a media briefing separately. But opposition leader and head of the Democratic Alliance party Mmusi Maimane said the budget meant the cost of living for poor people would rise sharply. The ultra-left Economic Freedom Fighters, which has six percent of the seats in parliament, boycotted the speech. It demanded that Gigaba, a Zuma ally, be removed. The Treasury said South Africa faced a 48.2 billion rand revenue gap in the current 2017/18 fiscal year ending in March, down from an earlier estimate of 50.8 billion rand, and that the revenue shortfall was expected to continue into the medium term. In a sign that it was mostly middle to high income earners who were targeted by the tax increases, the Treasury said the excise duty on luxury goods would be raised to 9 percent from 7 percent, among other taxes. The budget deficit is expected to narrow to 3.5 percent of gross domestic product (GDP) by 2020 from 4.3 percent in the 2017/18 fiscal year, while gross debt is seen narrowing to 56 percent of GDP in the 2020/21 fiscal year from nearly 60 percent seen in the October mid-term budget statement. ABUJA (Reuters) – Nigeria’s acting president will sign the 2017 budget into law later on Monday, one of his aides told Reuters, as Abuja plans record spending to pull Africa’s biggest economy out of recession. The OPEC member has been in recession since last year, largely due to low oil prices and militant attacks on the country’s Niger Delta energy facilities. Oil sales usually bring in two-thirds of the government’s revenue. 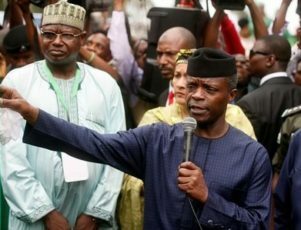 Vice President Yemi Osinbajo is standing in for President Muhammadu Buhari, who has been on medical leave in Britain since May 7, his second prolonged absence this year. Buhari’s medical condition is unclear. “The acting president will be signing the budget today,” the presidency aide said. President Buhari issued a statement saying it was in the interest of the country for Osinbajo to sign the budget into law. Lawmakers last month passed the record 7.44 trillion naira ($23.6 billion) budget plan, which is bigger than the 7.298 trillion naira draft spending plan submitted by Buhari in December. Two other presidency sources who did not want to be named also said the budget would be signed on Monday. Sources said Osinbajo was at an event in the southeastern state of Anambra on Monday and would fly back to Abuja for the budget signing ceremony later in the day. Last year’s budget, passed in May 2016, was delayed for months due to disagreements between lawmakers and the presidency over spending plans that cut the supply of government money and deepened the economic crisis. Buhari said in his statement, signed by his spokesman Garba Shehu, that the 2018 budget proposal will be submitted by October and parliament will conclude the process by December so the country can return to a normal budget cycle from next year. KIGALI (Reuters) – Rwanda said on Wednesday it had asked the International Monetary Fund to offer it a short term facility worth $200 million to help fend off foreign exchange risks in case the country’s reserves dwindled. 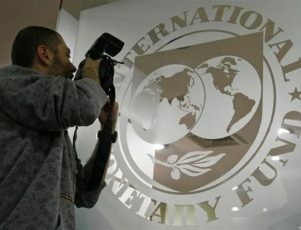 The central African state has previously said it had approached the IMF for help but had not revealed the amount involved. “The IMF facility is actually to help us not going into problems and that facility is $200 million,” Finance Minister Claver Gatere said at a post-budget press briefing in the capital Kigali. 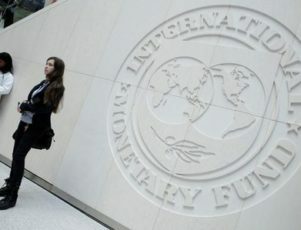 Gatere said Rwandan authorities expected the IMF to announce a decision on their request “tonight” (Wednesday). In the budget speech, Gatere said Rwanda’s overall expenditure in 2016/17 fiscal year would rise to 1.95 trillion francs ($2.60 billion) from 1.81 trillion francs in the year ending this June. ABUJA (Reuters) – Nigeria’s President Muhammadu Buhari signed the delayed 2016 budget into law on Friday, ending weeks of wrangling with lawmakers and tripling capital expenditure as Africa’s biggest economy contends with its worst crisis in years. The 6.06 trillion naira ($30.6 billion) budget is an attempt by Africa’s top oil exporter to stimulate an economy hammered by the fall in crude oil prices. Oil sales make up about 70 percent of national income. The budget assumes oil production of 2.2 million barrels per day at 38 dollars a barrel, Budget Minister Udoma Udo Udoma told reporters shortly after the signing. In a speech given after the signing, Buhari said the current period was “probably the toughest economic times in the history of our nation”. “In designing the 2016 budget, we made a deliberate choice to pursue an expansionary fiscal policy despite the huge decline in government revenues from crude oil exports,” he said. The president said 350 billion naira would be spent on capital projects, and he compared the 200 billion allocated to road construction with the 18 billion earmarked for that purpose in the 2015 budget. Buhari withdrew his original budget bill in January because of an unrealistic oil price assumption. Parliament approved an amended proposal in March but only submitted highlights, prompting Buhari to say he would only sign the bill after it was resubmitted. The lack of a budget, almost a year after Buhari took office, meant ministries were unable to allocate funds to projects in various sectors. “The passage of the budget has been a long journey, and it has been as much about process as content,” Nigeria-focused PM Consulting’s Antony Goldman, said. The government plans to generate 3.38 trillion naira this year from non-oil sources, up 87 percent from 1.81 trillion in 2015 [nL5N17E2KU]. But, with the heavy reliance on oil sales, it is unclear how this will be achieved. Finance Minister Kemi Adeosun has said Nigeria is expected to post budget deficits for the next two to three years [nL5N17E17G]. In 2016, the deficit is seen at 2.2 trillion naira compared with a previously estimated 3 trillion. She has said Nigeria plans to borrow a total of 1.8 trillion naira from abroad and at home. ABUJA (Reuters) – Nigerian lawmakers said on Wednesday they planned to hold talks with the presidency over the 2016 budget bill, which has yet to be signed into law by President Muhammadu Buhari after being passed by parliament last month. 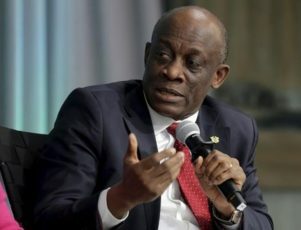 The announcement suggests further delays before the legislation takes effect in Africa’s biggest economy and top oil producer, which is going through its worst crisis in years brought on by the slump in global crude prices. Buhari withdrew his original budget bill in January because of an unrealistic oil price assumption and flaws in the draft. Lawmakers approved an amended proposal last month but only submitted headline figures rather than the whole document to the president’s office. That prompted Buhari, who is currently in China, to say he would only sign the bill after checking it thoroughly. Following closed-session talks by lawmakers in the lower house of parliament, a spokesman for politicians in that chamber said media reports about the contents of the budget submitted to the president last week had caused concern. “We agreed as a chamber, as a House delegated the Speaker to please go ahead and engage the executive to identify the areas of concern,” said House of Representatives spokesman Abdulrazak Namdas. He said there was particular concern about media reports that a proposed rail project linking the southwestern commercial capital, Lagos, with the eastern city of Calabar had been removed by parliament as part of their amendments. Namdas said it “was not among the projects submitted by the President to the National Assembly”. “Our own area of concern is that people say this thing was in the budget and we removed it. That is why we asked our speaker to liaise with the executive,” he said. Last month Lai Mohammed, the information minister, said there was no rift between the executive and legislature over details of the budget. 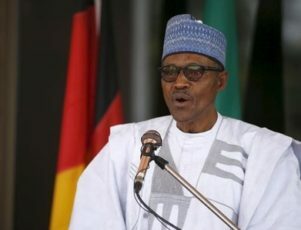 ABUJA (Reuters) – Nigeria’s President Muhammadu Buhari will check the 2016 budget bill passed last week “ministry by ministry” before signing it, he said on Thursday, signaling further delays before the legislation takes effect. The budget for Africa’s top oil producer has been held up for months as Buhari had to withdraw his original bill, which set spending at a record $30 billion, in January, due to an unrealistic oil price assumption and flaws in the draft. 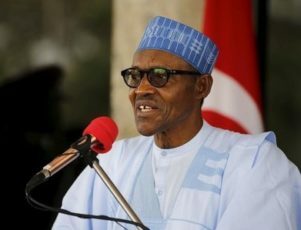 Lawmakers approved an amended bill last week that Buhari has yet to sign as parliament has so far only sent highlights of the new document to his office, a government official told Reuters on Tuesday. “Some bureaucrats removed what we put in the proposal and replaced it with what they wanted,” Buhari said, according to a statement from his office. On Thursday, the information minister said there was no rift between the executive and legislature on details of the budget. A day earlier, a senior lawmaker said parliament might need another week to work out details of the budget. Buhari hopes the bill will revive the economy but officials have left open how it would be funded. The government has said it might sell Eurobonds or sign a loan deal with China and the World Bank but no deal has emerged. Oil revenues, which make up about 70 percent of Nigeria’s income, have slumped, hammering the naira currency, halting development projects and leaving budget funding uncertain. Nigeria has been trying to restart outdated refineries in Port Harcourt, Warri and Kaduna to end its dependency on costly fuel imports for around 80 percent of its energy needs. Three of its four state-owned refineries were closed for five months in 2015 due to maintenance issues and vandalism. (NNPC) said it was committed to boosting refining capacity as it opened the technical bid for the location of new refineries within the nation’s existing refineries. Anibo Kragha, NNPC chief operating officer for refineries, said the open bidding exercise demonstrated the determination of the government and state oil company to increase the country’s refining capacity from 445,000 barrels per day to 650,000. “The aim is to leverage on the existing facilities to fast track the take-off of the refineries as soon as possible,” he said. NNPC said nine companies submitted bids. 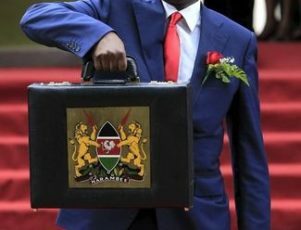 NAIROBI (Reuters) – Kenya’s Treasury has sent parliament supplementary spending plans for the fiscal year ending in June that introduce net cuts of about 50 billion shillings ($493 million), the finance minister told Reuters on Thursday. The government had forecast a budget deficit of 8.7 percent of gross domestic product for 2015/16, which unnerved investors. Draft figures released in February showed a revised 2015/16 deficit of 8.1 percent, falling to 6.9 percent in 2016/17. Finance Minister Henry Rotich said in a short telephone interview that the supplementary figures sent to parliament had increased spending in some areas, such as security, but these were outweighed by cuts elsewhere. “We are increasing spending in some areas and cutting in others but, overall, cuts are more than increases, so we have a net cut of around 50 billion (shillings),” he said. President Uhuru Kenyatta’s political coalition dominates parliament and is expected to back the revised numbers. Rotich said last month that the government would cut net domestic borrowing for 2015/16 by a quarter to 168.2 billion shillings as a result of spending cuts prompted by sluggish revenue collection. CAPE TOWN (Reuters) – South Africa announced an austere budget on Wednesday aimed at avoiding cuts in its credit ratings, and vowed to focus spending on priority areas after weak economic growth reduced its revenue. The measures may appease ratings agencies, which have said they might lower South Africa to sub-investment grade after President Jacob Zuma changed finance ministers twice in less than a week in December, casting doubt over Pretoria’s commitment to prudent fiscal policy. Still, the package of spending cuts, civil service job freezes and moderate tax hikes on property sales, fuel, alcohol and capital gains may not go down well with voters ahead of municipal elections this year in which the ruling African National Congress faces a stiff challenge from the opposition. “We cannot spend money we do not have. We cannot borrow beyond our ability to repay. Until we can ignite growth and generate more revenue, we have to be tough on ourselves,” Finance Minister Pravin Gordhan told parliament. The tax hikes should help raise an additional 18.1 billion rand in revenue in 2016/17, he said. He said the economy may expand just 0.9 percent in 2016, down from a previous forecast of 1.7 percent and compared with estimated growth estimate of 1.3 percent in 2015. It would be the lowest rate of growth since South Africa emerged from recession in 2009 and would reflect the impact of a severe drought and a sluggish global economy. Growth has now fallen behind the rate of population increase, resulting in declining per capita incomes, the National Treasury said in a budget statement outlining spending plans for the next three years. “In other words, the average South African is becoming poorer,” it said. The rand extended losses over the lower growth forecast, trading 2.5 percent weaker to the dollar on the day. “I would say the rand weakened so much immediately after the budget was released primarily because of the lack of sufficient reforms to tackle South Africa’s economic problems,” London-based EMEA analyst at 4cast Rajiev Rajkumar said. 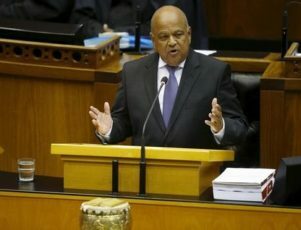 The cost of insuring exposure to South African debt via credit default swaps rose 17 basis points (bps), indicating investors’ disappointment with Gordhan’s budget. Despite weaker growth, the government would still aim to reduce its budget deficit to 3.2 percent of GDP in the next fiscal year from 3.9 percent in the current 2015/16 period by tightening spending. Fitch and Standard and Poor’s have South Africa on BBB-, just a step into investment grade. Any further cut would label them as junk status. The third main ratings agency, Moody’s, rates South Africa at Baa2, two notches above junk. Moody’s said last week the drought risked tipping an already weak economy into recession as rising agricultural imports feed into rising inflation. The Treasury said a credit downgrade to sub-investment grade, or “junk” status, could trigger a sharp reversal of capital flows and precipitate recession. “In such an event, aggressive austerity measures would likely be required to restore public finances to a sustainable position,” it said. The Treasury said it had cut government departments’ budgets for non-essential services, would borrow $4.5 billion from global markets over the next three years, and seek a minority equity partner after merging two of its state-owned airlines.